Our wines are locally made with local grapes from the four corner’s area. well-balanced and perfect for sipping on with dinner or on an adventure. 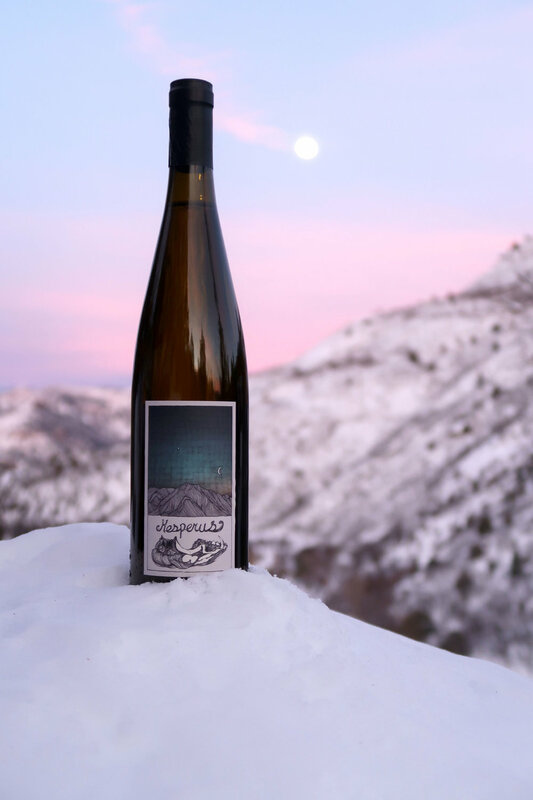 Our dry table white wine is derived from 100% riesling grapes from Box Bar Ranch located on the eastern flank of the Sleeping Ute Mountain southwest of Cortez, CO. With aromas of melon, lychee fruit, and subtle undertones earthiness and minerality carry forward into the flavors that are soft up front with a dry and sharp finish. Try this wine with your favorite meal. Our table red wine is a blend of 75% cabernet sauvignon and 25% petite verdot grapes out of the Grand Valley Appellation in Western Colorado. This wine is deep-ruby in color, fruity vanilla nose, with forward flavors of dark fruit such as black cherry and blackberries and ripe stone fruit. Tannins balance the mid-palate, whith a spicy and vanilla finish. This wine was matured for 24 months in oak barrels.